Want to have your Disney MagicBands stand apart, but don’t want to pay the big bucks for specialty bands? I have a few ideas for decorating MagicBands. If you are artistic, you can use sharpies or paint pens to draw designs on the bands. You can use Disney Washi Tape to create designs. We have even used Nail Polish to bling our bands. You don’t have to be overly crafty to decorate your MagicBands. 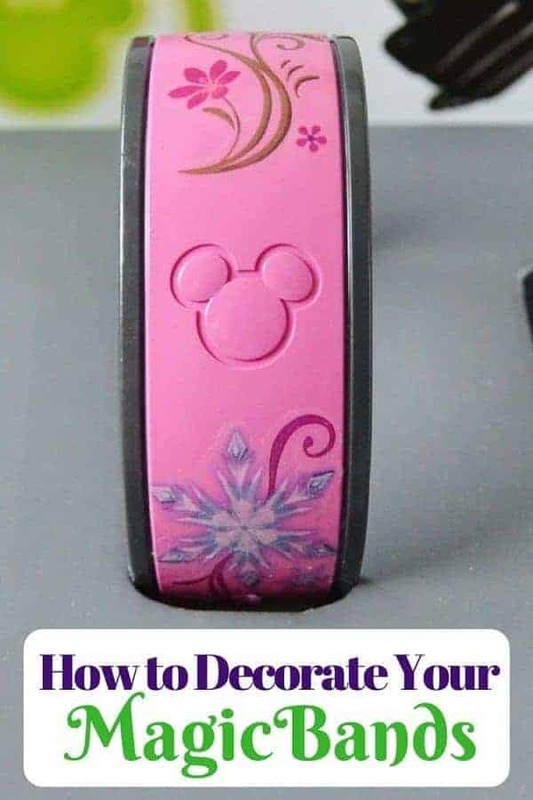 In fact, I am going to show you an easy way to decorate your Disney MagicBands using your kids Disney tattoos. The first thing you will want to do is make sure your band is clean. If it is a new band, you probably can skip wiping it off, but if you have worn it previously, it may have oil from your skin or grime from exposure on it so it is best to clean it first. Once cleaned & dried, choose the temporary tattoo you want to add & cut it to size. Take off the clear plastic cover and place it over the band, just like you would on skin. Take a damp cloth and wipe it over until the image appears on the band. Continue to add tattoos as you wish until you are happy with design. Last step is to spray with a sealant to set the image (so it doesn’t rub off). We chose an indoor/outdoor because it will protect image from water. Wait until fully dry & then you can wear it to the parks! 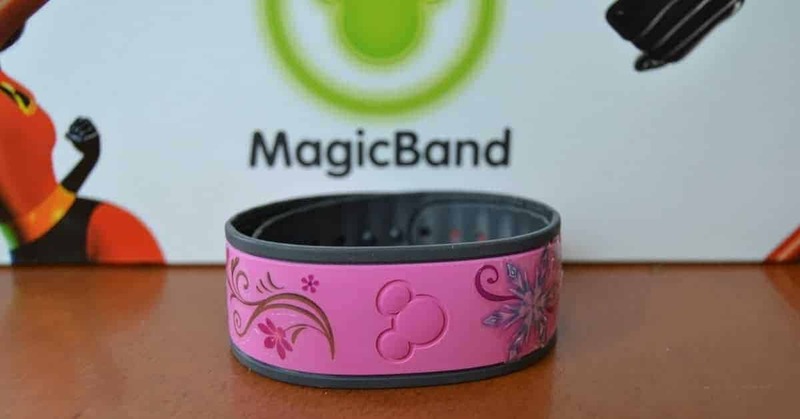 Have you found a creative way for decorating MagicBands?